Available when you join on Facebook. Save 20% off when you buy 2 or save 30% off when you buy 3+. Order 2 bags to save 20%, or order 3+ bags to save 30%. Just pay for $12 for shipping. Offer is valid when you sign up. For new customers only. Some restrictions apply. Get 20% off when you buy 2 or 30% off when you buy 3 or more items. Valid for Three Sifting Tray System. Taking care of your cat never was so easy. Get this innovative litter and both you and your cat will be satisfied. Use codes to receive a significant discount. Click “Show Coupon Code” button and then “Click” sign. Let's make a purchase. 2. Click “Buy now” button when you decide to buy a litter box. 3. Choose a number of litters box that you need. 4. Click on “Check Out” button. On the right side of the checkout page, there is a line with the sign “Discount (can't be combined with other offers)”. Paste the found code into that line and click “Apply” button. Congratulations with such an advantageous buying. 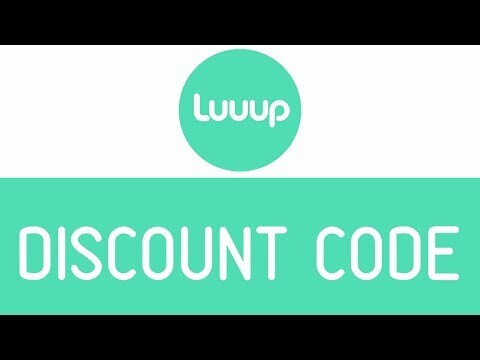 Luuup is a manufacturer of a modern & stylish pet products. Tired of cleaning up after your adorable day? Luuup designed a sleek and functional litter box, with a 3-way sifting tray system helpful in keeping homes clean & mess free. This Litter box is a must have for pet owners, it's antimicrobial, economical, easy to clean and even guards spills, thereby reducing the time spent cleaning. Shop a litter box sleek enough to fit into your modern homes, without compromising the beauty of your home. Luuup is the destination for innovative pet products made for the forward thinking individual.